Repeat rows 1 and 2 until all 42 rows are complete. 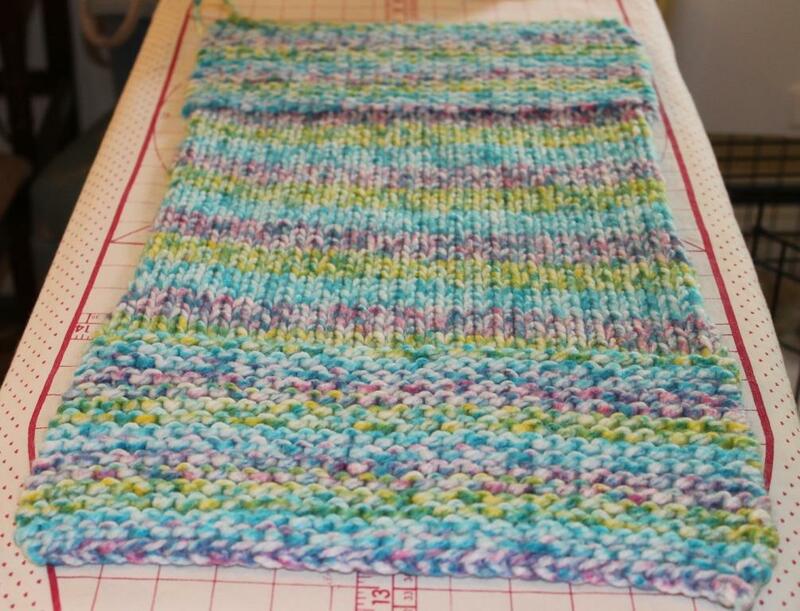 This is called Stockinette Stitch. Piece will measure approximately 23 inches long. 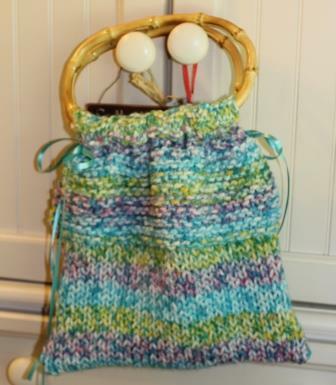 Fold end of knit piece over the handle and sew through both layers of the piece. 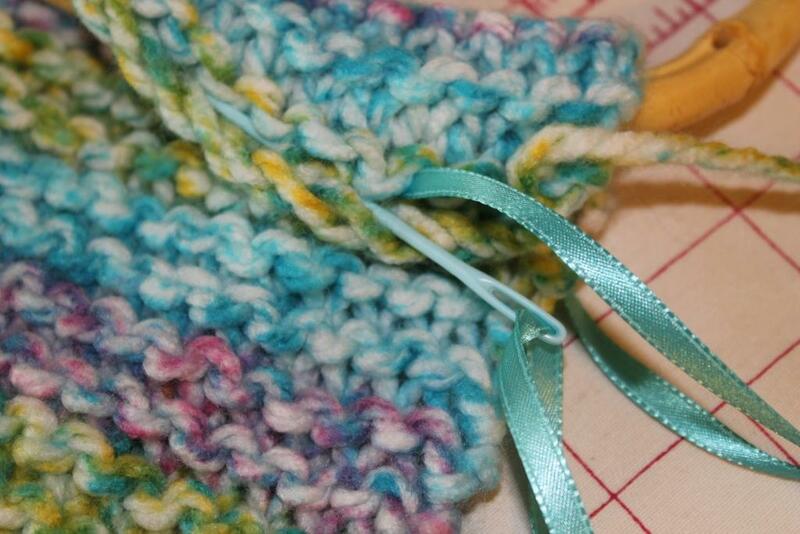 Sew a second row of ribbon and pull to gather the knitted piece. 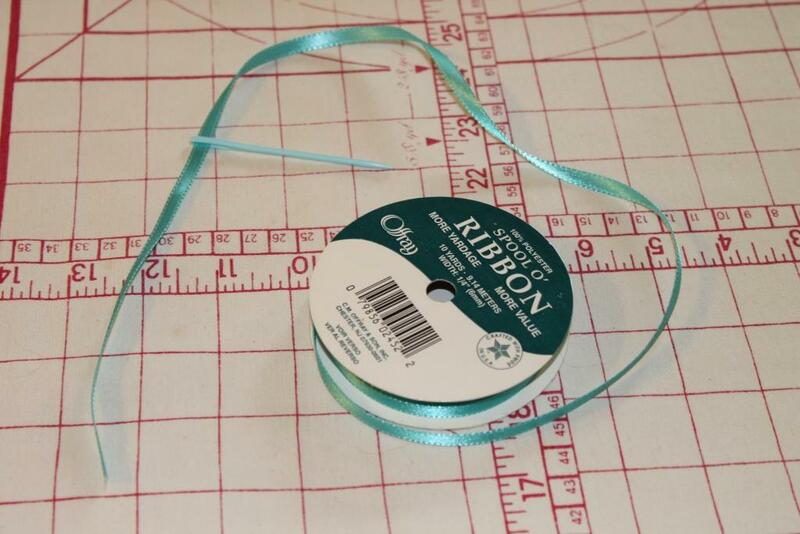 Tie a bow with the ends of the ribbon. 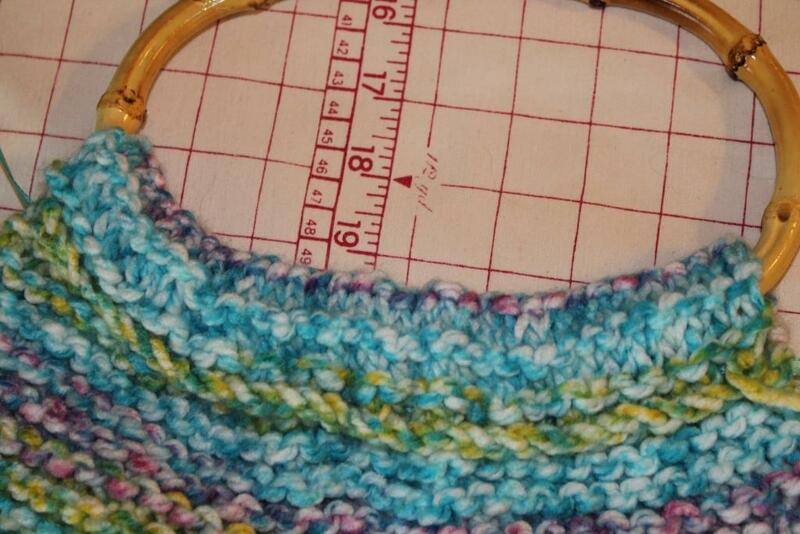 Turn knitted piece with the purl side of the stockinette stitch section showing. 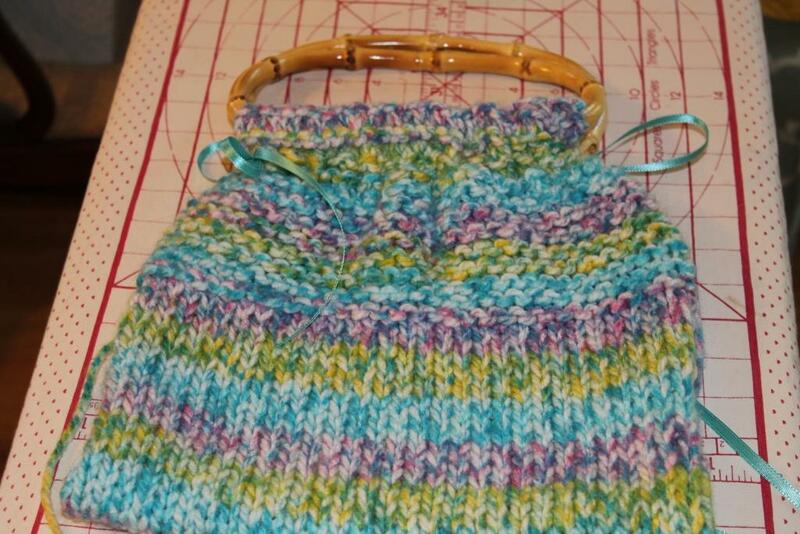 Sew the stockinette sides of the purse together.